Rosalind, Bianca and Cordelia's father love Shakespeare. He loves Shakespeare so much that most of what comes out of his mouth was previous written by good ole' Billy himself. Word of their mother's cancer lends them all a reason to make their way back home. Rosalind is running from having to make decisions and move forward in her life. Bianca is running from the embezzling she did at her former job. Cordelia is running away from running away, and thinking about what to do with the life growing inside her. Once they are all under the same roof again, they battle with the ability to hold on to their secrets, even though the burden of them sits heavy. So this is the first adult novel I've read in awhile. It was a bit slow going at times but I ultimately adores it. All the characters were so really and angsty. Honestly, I think a lot of older YAs could easily connect with these characters, because they are going through things that young girls can go through too. Rose is trying to decide where her life might take her and if she's ready to go. This is just like going to college, or moving out of your parents house, it's a tough decision to make and Rose tries to hold on to her home instead of having to face it. Hopefully lots of girls aren't embezellers, but lots of people make mistakes. It's easy to see that Bianca got in over her head and sort of lost control, almost like she got completely wasted at a party. Good ole' Cordy is facing the oldest one in the book, unexpected pregnancy. That's many YA stories right there. I really enjoyed the third person plural narrative that this story was written in. 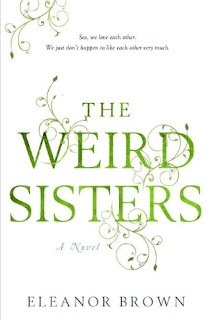 It gave you a very sisterly connection, even though the sisters tended to loathe each other a bit. 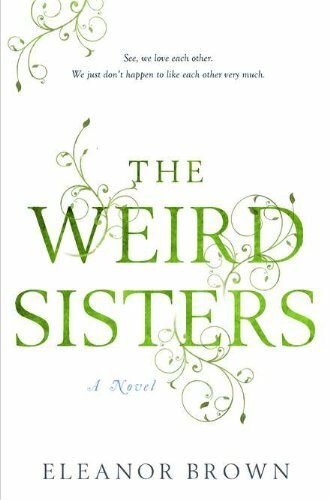 It was great that this wasn't just a story about three sisters who share everything and are really close. These sisters are hardly close at all except for the fact that they are all dealing with things even heavier than their mothers cancer. Their father was the best. He was constantly lending them advice from the great Bard and expressed his feelings in much the same way. It was very interesting seeing the sisters not turn out quite so weird, despite their father's quirk. Their mother wasn't too much better. She was constantly off and living in her head. It's really no surprise that the girls haven't grown up yet. Though their parents seem like they took good care of them, it doesn't seem like they are all that into growing up themselves. This was really just a fabulous book about growing up, even if you already are a grown up. "We came home because we were failures." "Cordy had been up before us all making pancake batter with blueberries purloined from the neighbor's bushes, their delicate bodies splitting against the wooden spoon, staining the batter with violent violet." This book has been popping up all over the place, and I am so interested in it.